One of the most common automotive repair terms is a “blown gasket,” though many vehicle owners might not know exactly what that means– despite having to pay for it! Essentially, gaskets are a small feature of modern machinery that have major consequences when they fail. To brush up on these crucial engine parts, keep reading for Park Muffler’s crash course in intake and head gasket care and upkeep. 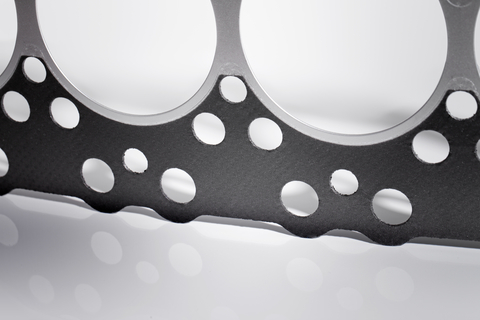 Intake gasket: Vehicle engines take in air to blend with fuel, creating a highly reactive mixture. The intake manifold channels this air and must be sealed securely to the rest of the engine with a gasket. Head gasket: The ‘head’ of the engine is the part that sits above the cylinders— where the aforementioned mixture is ignited in sequence to run the vehicle. A durable head gasket is required to secure this connection. When is it time to replace my gaskets? Gaskets can wear down over time, causing such gradual changes that even an attentive vehicle operator might not notice until it is too late. Fluid leaks, poor performance and strange sounds could all be early warning signs of an aging, damaged or faulty gasket. Bring any concerns to the attention a Park Muffler technician for a full diagnosis. Catching a problem early can save you thousands of dollars in repair or replacement down the road. What happens if I don’t replace them? A “blown gasket” is a casual term for a damaged gasket that has been left too long– often resulting in total engine failure and even irreparable damage. A surefire warning sign of a blown intake gasket is that your vehicle’s exhaust becomes thick, white and billowing. A blown head gasket will cause overheating and higher than normal pressure before a vehicle’s engine totally quits due to coolant contaminating the oil, exhaust polluting the radiator or another serious consequence. The above article is only a brief introduction to gaskets and the intricate purpose they serve in modern internal combustion engines. Every engine on the road requires proper gasket maintenance and upkeep to operate safely– an attentive owner can also add years to the life of their vehicle. Questions? Concerns? Contact the professionals here at Park Muffler today!